Award-winning Silent Pool Gin is unveiling the first ‘anti-stress’ garden at this year’s Chelsea Flower Show - utilising plants to create a space that absorbs the pressures of everyday city life. One lucky winner can win a pair of tickets to experience it for themselves. 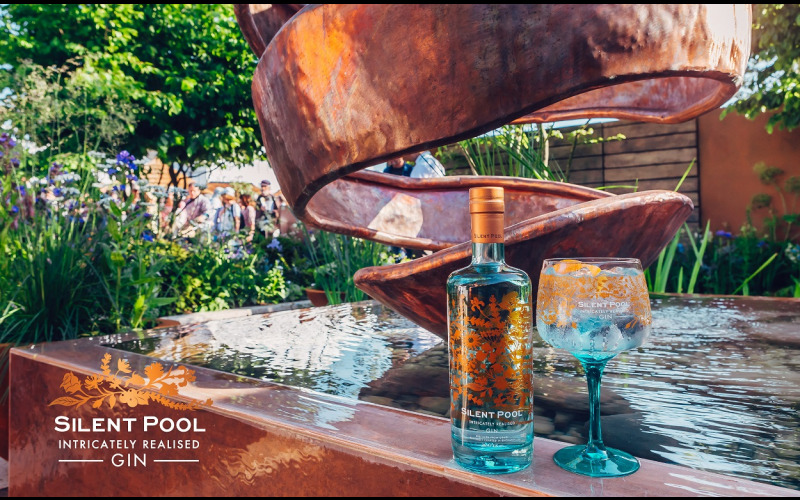 Winners of the competition will be able to visit the Silent Pool Gin Anti-Stress Garden at The Chelsea Flower Show on Thursday 23rd May between 8am – 8pm, as well as enjoying a delicious lunch for two at elegant riverside restaurant, No. Fifty Cheyne. As if this wasn’t enough, they’ll go home with a Silent Pool Gin hamper packed with goodies, including two bottles of premium gin in beautifully designed bottles, four stunning copa gin glasses, two gin mists, Silent Pool Gin infused smoked salmon and two candles. Plus, the winner will receive the stunning Sophia bouquet from online flower shop Bloom & Wild, resplendent with roses, tulips and delphiniums. Overall a fantastic prize worth £700! Silent Pool Gin is handcrafted on the Duke of Northumberland’s Albury Estate in the foot of the Surrey hills. Made using 24 botanicals and spring water from the legendary Silent Pool, it is a rich and clean juniper spirit with floral layers of lavender and chamomile, notes of citrus and kaffir lime, grounded with the subtle sweetness of local honey. Uncompromising on quality, it’s sold worldwide, stocked everywhere from Fortnum & Mason to Waitrose and served in venues including The Ritz and Hawksmoor.